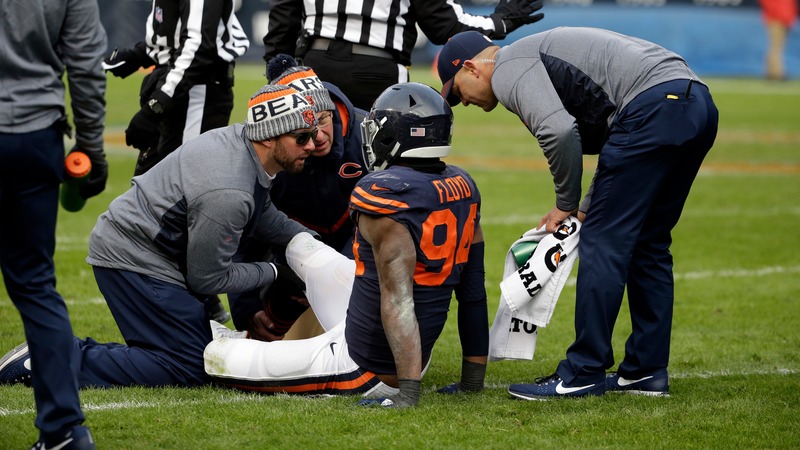 Bears head coach Matt Nagy announced on Monday that linebacker Leonard Floyd underwent surgery to repair a broken hand suffered in the team's preseason win over the Broncos. Bears head coach Matt Nagy announced on Monday that linebacker Leonard Floyd underwent surgery to repair a broken hand suffered in the team's preseason win over the Broncos. The initial hope is for Leonard to play through the injury in Week 1 with the help of a cast or some sort of protection. “It might require something in regards to having a cast or club type deal,” Nagy told reporters. “There’s been evidence of guys that have had that and been productive, so that’s what we’re hoping right now.” Floyd is entering his third year with the team and his status has raised the idea of the [Bears going after a player like Khalil Mack](https://www.betchicago.com/bears-second-betting-favorite-khalil-mack), the Raiders defensive end stuck in a contract battle. Floyd has missed 10 games in the last two seasons. His sack total dropped from 7.0 sacks in 12 games in 2016 as a rookie to 4.5 sacks in 10 games last year.